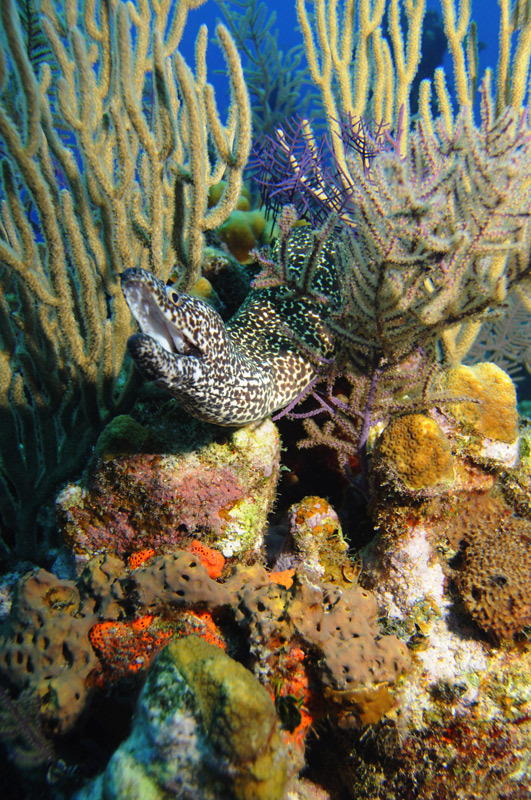 Grand Turk diving at its best! As one of the top scuba diving locations in the world, the most beautiful blue water you can imagine surrounds Grand Turk. 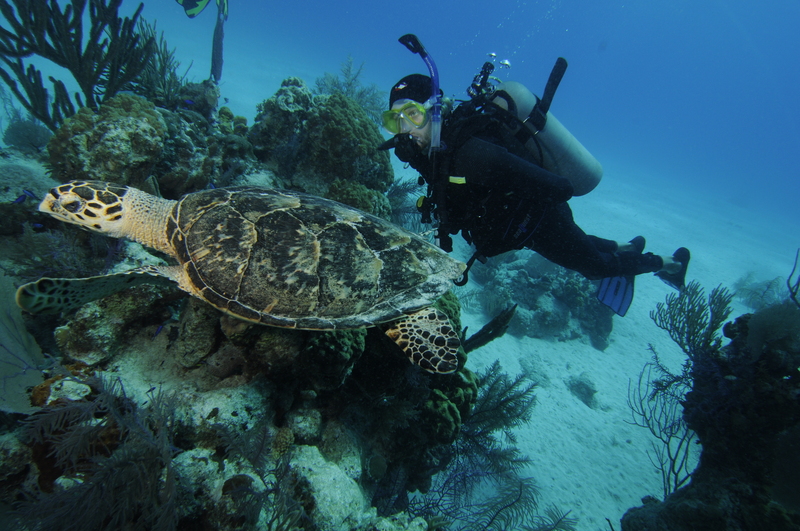 Turks and Caicos diving is an unforgettable adventure. Clear and warm, the turquoise blue turns a deep dark blue just a few hundred yards from shore where the wall drops. Most of the dive sites are on the west side of the island with the reef starting in just 30 feet of water. The reef gently slopes until it reaches about 40 feet then dramatically drops to 7000 feet. Visibility averages 100 feet and the water temperature ranges from 82°-84° in the summer to 74°-78° in the winter. Our professional and courteous staff makes sure your experience is unforgettable. Many of our guides have been diving these waters for years and have an astounding knowledge of the reef and dive sites. Our divemasters take care of all the details to ensure your time with Oasis Divers is everything you’ve dreamed of in a dive shop. From setting up your equipment each day to detailed dive site descriptions and briefings, Oasis Divers prides itself on our fantastic team. We dive in small groups and guarantee personalized service from your divemaster. 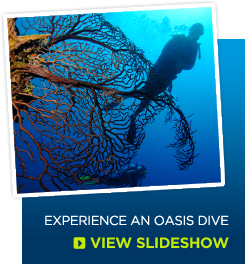 Oasis Divers has been voted one of the top dive operations in the world. Come see for yourself why, at Oasis Divers, we “are in the amazing business”. Oasis Divers on Grand Turk Island has strong relationships with the best of the best when it comes to accommodations, some along the best Caribbean beaches. We’ve partnered with several hotels and guesthouses to bring you the best Turks and Caicos vacation package around. 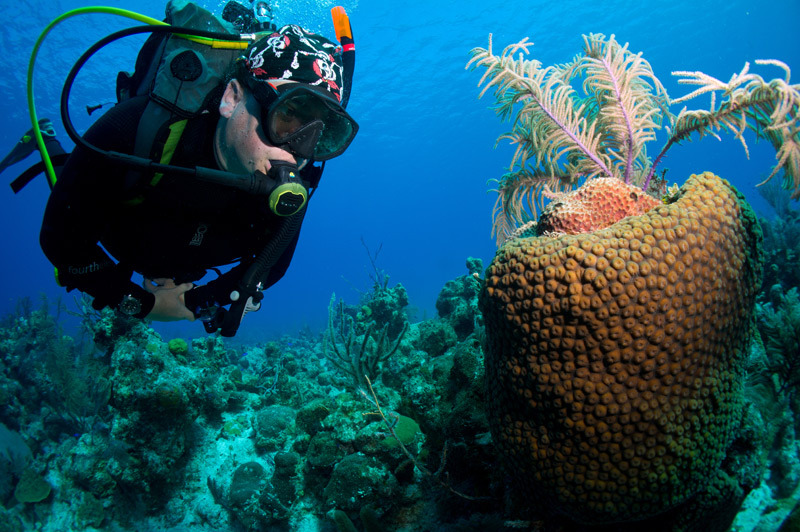 Grand Turk is home to some of the most amazing dive sites in the Caribbean. 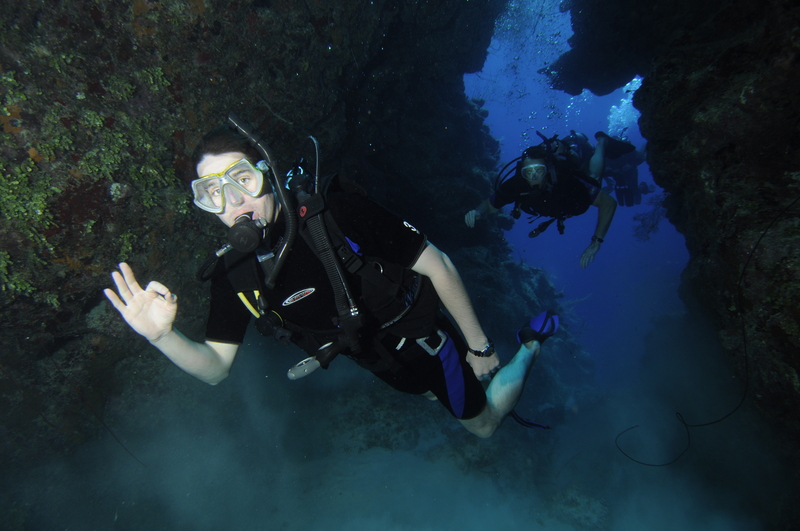 Our world-renowned wall drops down to over 7000’ and is located just 1000’ off shore, making many of our guests’ best Turks and Caicos diving experiences just a short 10-minute boat ride.